Did you encounter an issue during registration? It’s possible we were unable to verify your information. Let us help you figure out what’s going on. 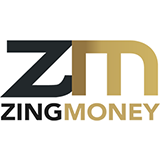 Call us at 844-954-9273 or email us at support@zingmoney.com.